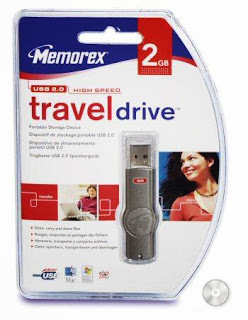 How to make a password and secure partition in Memorex Travel Drive .Download Memorex Secure TD software and start protect your Memorex travel drive . 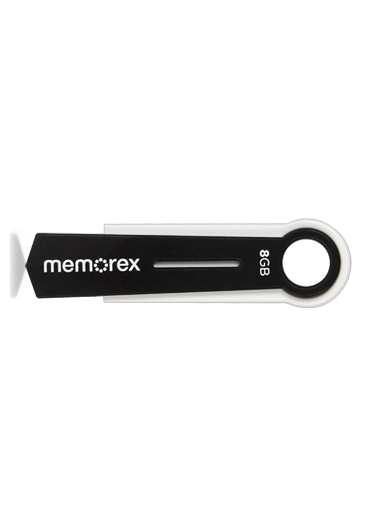 The product you have is a USB Flash Memory Storage Device with security function. This security function provides you with high privacy for your personal data. It lets you set up your own password with a maximum of 16 characters and adjustable public and secure areas. Securing your data with the Secure TD has never been easier. Secure TD provides user convenience and privacy, as well as high security for data stored on your USB flash memory storage device. This Secure TD security application program only applies to a secure series of products. Usage of this AP on other products is prohibited. Plug in only ONE device at a time. DO NOT plug in two or more secure device at the same time when running this security application program – Secure TD. Windows 98 users, please install driver first before plugging in your device and running this application program. Windows 2000 users, please upgrade to Service Pack 3 (SP3) or Service Pack 4 (SP4) before using this security product and application program. This security application program – Secure TD is only designed for Windows based operating systems. When you plug in your device to a USB port, your operating system should recognize the device and show a “Removable Disk” icon. This is the “Public” partition and the security application program – Secure TD will be stored in this partition. This secure area is protected by a password and can only be accessed by typing in the correct password. If NO password exists, then you cannot use this partition. This area is “Always Open” to all users of the device. Users can read / write data to this area any time. The security application program – Secure TD will be stored in this partition. Password security will only apply to the secure partition and will not affect this partition. Note : It is recommended to save (drag & drop) Memorex Secure TD on your hard drive in case it is mistakenly erased from the Flash Drive. For the first time use, create a partition first. After the Partition is created, set a password prior to using the device. See the following section for creating a password . Press the top right hand button to setup or change your password. Set up password: If no password exists, simply enter a password of your choice up to 16 characters in length. You may also enter a password hint (maximum 32 characters including spaces) to remind you of your password in the event that you forget it. Note: You can only type in English letters and numbers. Change Password: Please enter the current password and new password of your choice of up to 16 characters; you may also enter a password hint (maximum 32 characters including spaces) of your choice to remind you of your password, in case you forget your password. When ready, Press “Apply” to save the password and password hint. You will see the following messages telling you that the password had been changed and the device will be locked automatically when you remove it from the USB port or if there is a suspension in power. Press “cancel” to cancel the change password procedure, if you want to keep the current password and password hint. Note : there is manual guide for Memorex Secure TD software with Download file . USB security or we can say data security is important for all of us. 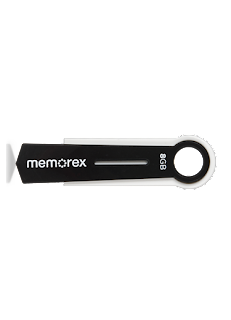 As the flash drives are small in size, we need to pay more attention to its security. To protect flash drive from unauthorized access, we can choose third party tool such as Folder Protector(http://www.kakasoft.com/folder-protect/) that's adopting 256-bit on-the-fly AES Encryption technology to encrypt files in flash drive so the information and data in drives won't fall into wrong hands even if we lose the drives.